I spend part of Sunday cooking great food for the week. Check out a layout of my cooked food below. For those on the 21 Day Fix eating plan, I’m in the 1500–1799 calorie level and I get 4 green containers (veggies), 3 purple containers (fruits), 4 red containers (proteins), 3 yellow containers (carbs), 1 blue container (healthy fats), 1 orange container (nuts and seeds), and 4 teaspoons (oils and nut butters) each day. 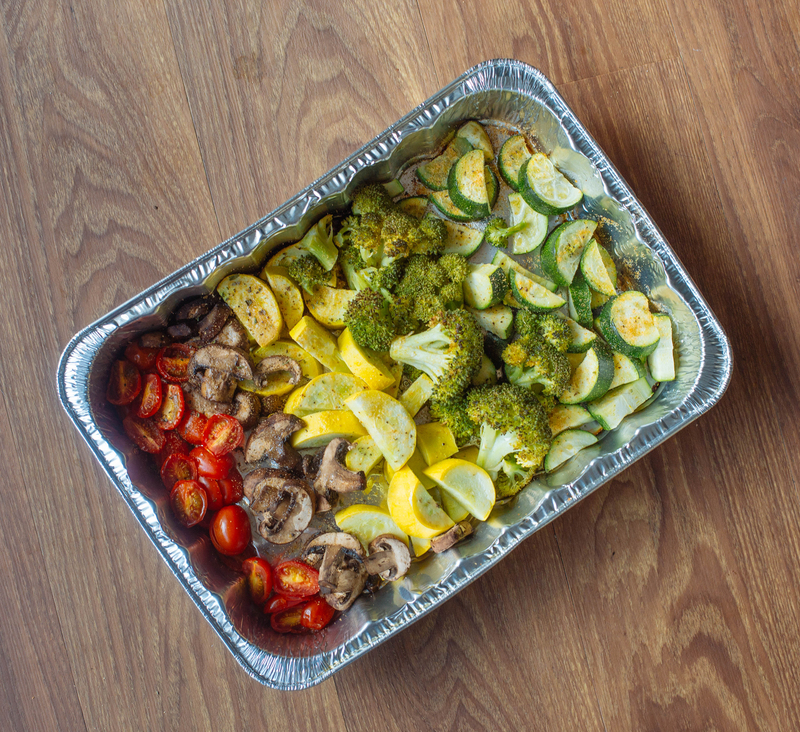 These rainbow roasted veggies are absolutely delicious. It’s that easy and super delicious! Shredded chicken is a go-to of mine. 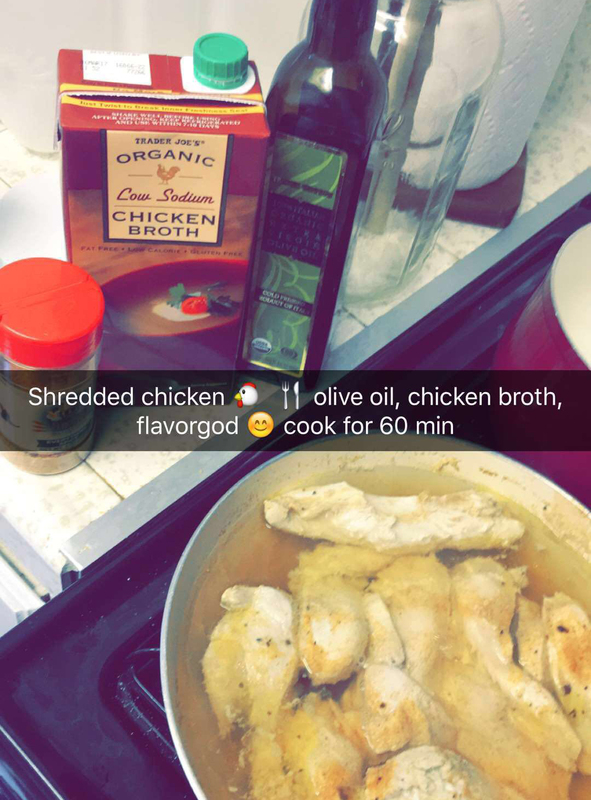 Place chicken in pan with broth, seasoning and olive oil. Bring to boil and let simmer for 15-20 minutes. Cover and leave heat on low. Continue to cook for another 45-75 minutes or until chicken shreds when you use a fork. To shred chicken, it’s easiest while warm/ Use two forks to pull the chicken apart. A: No at all! 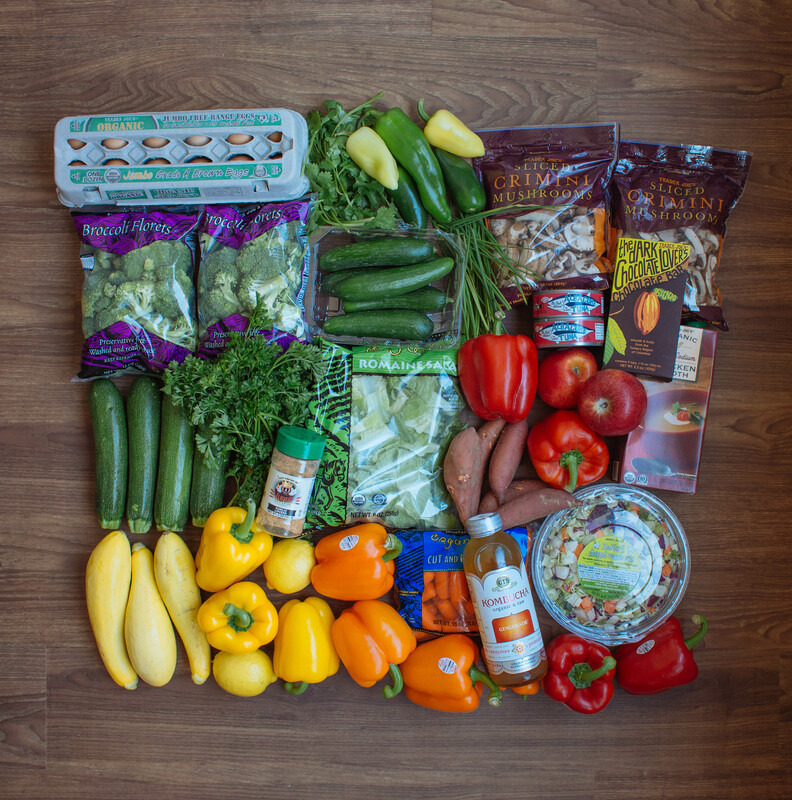 I switch it up on a weekly basis and choose my healthy favorites that I don’t mind eating often. 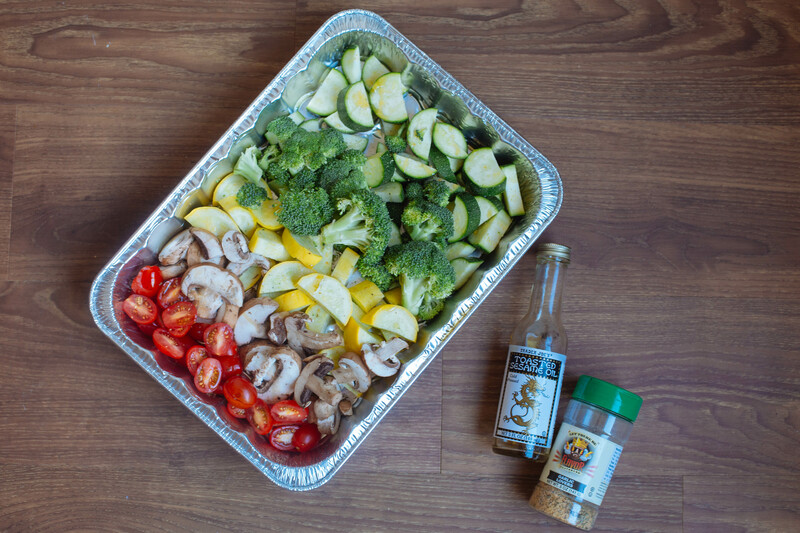 I also add different seasonings to keep things interesting. 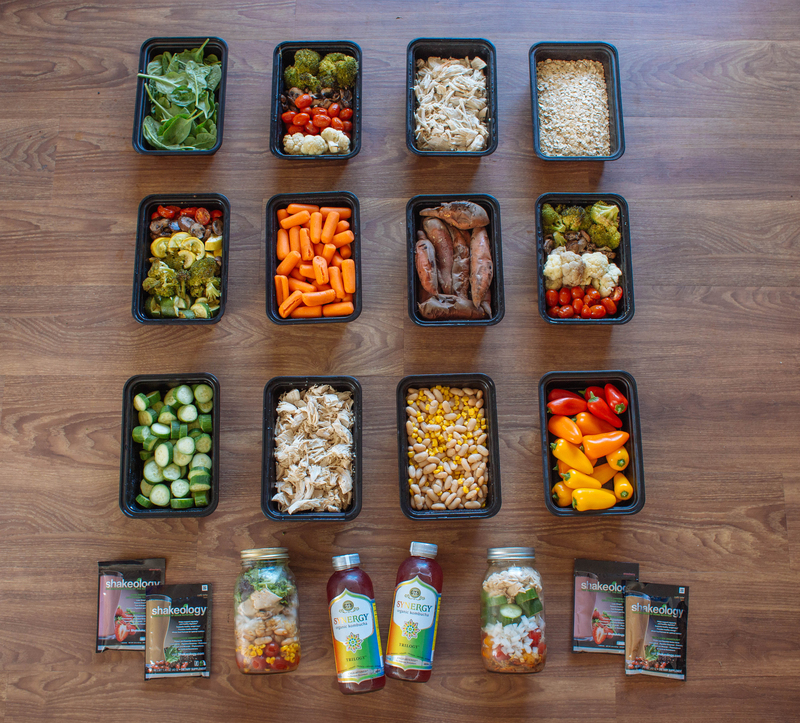 Buffet style meal prepping also makes it easy to mix and match to keep things interesting.